Very few menswear designers are able to marry sportswear and tailoring as well as Giorgio Armani. That's probably the reason why he was trusted with the task of dressing the Italian Olympic team this summer. What could give more pleasure than saying "I'm wearing Armani" when you're decked down in activewear? Exactly. I personally loved how this influence was introduced in the SS13 Emporio Armani collection because it was subtle and elegantly done. The eclectic textiles used in the collection not only helped the symbiosis of the sporty and the smart but added value to all the looks because of the play of textures they created. 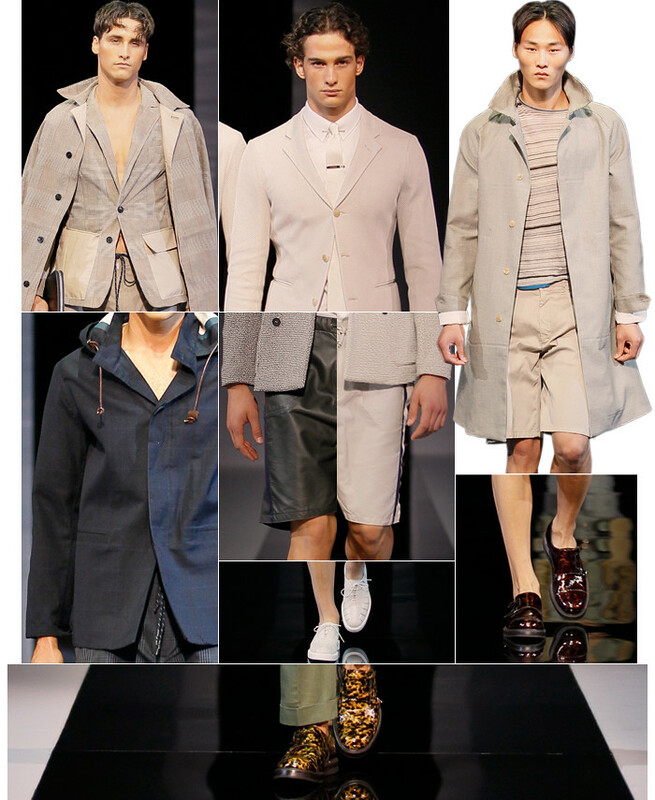 I especially loved the outerwear and how it was styled with comfy shorts and shoes as smart as they were tough. But perhaps what I appreciated the most about the show was the fact that we even saw some seasonal trends, which is something rare at Armani because the designer marches to the beat of his own drum. I loved seeing parkas, quite a bit of khaki and even a dash of leopard reinvented by Mr Armani as a sort of enamel monk shoe. This was one of the best EA shows of the last few seasons and a personal favourite. You can watch the video of the runway show below.